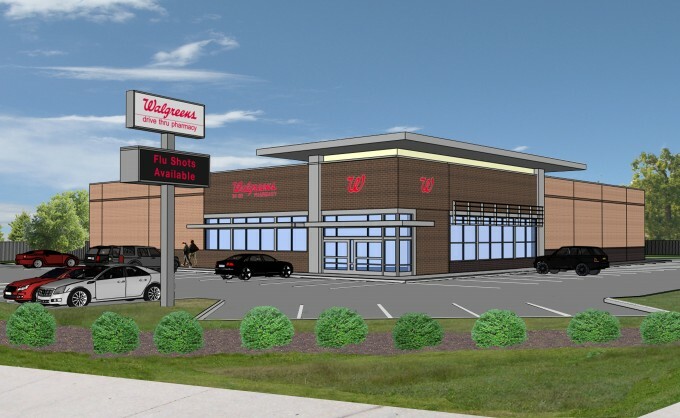 EDEN Property Company, was recently granted site plan approval for a new 14,820 SF freestanding Walgreens at the intersection of Route 23 South and Washington Avenue in Franklin Borough, Sussex County, New Jersey. New Jersey State Highway Route 23 predominantly runs north to south throughout this region. The immediate municipalities surrounding this corridor are the Borough of Hamburg, Township of Hardyston, Borough of Ogdensburg and Sparta Township. The Route 23 retail corridor serves the surrounding populace as their main shopping hub. Moreover, County residents living north of the property have to pass this location on a daily basis to commute to urban infill areas of Northern New Jersey. This is the primary route that gets motorists living in the northwest corner of the state to Essex, Passaic, Morris and Bergen County. The New Jersey Department of Transporation along with the Borough of Franklin worked in conjunction with one another to see that all commercial development along this corridor be connected with reciprocal cross easements to limit the number of access points. That being noted, all commercial projects connect to one another having a main ingress/egress right at the intersection of the subject property. Over 450,000 square feet of retail currently exists along this corridor and there is an approval for another 260,000 SF to be built. Combined, this commercial corridor will consist of approximately 710,000 SF of retail disbursing consumers at the proposed intersection. This was a critical deciding factor for Walgreens Real Estate Committee’s approval.